Kentucky Fried Chicken (KFC) is one of the world’s leading chains of fast food restaurants. 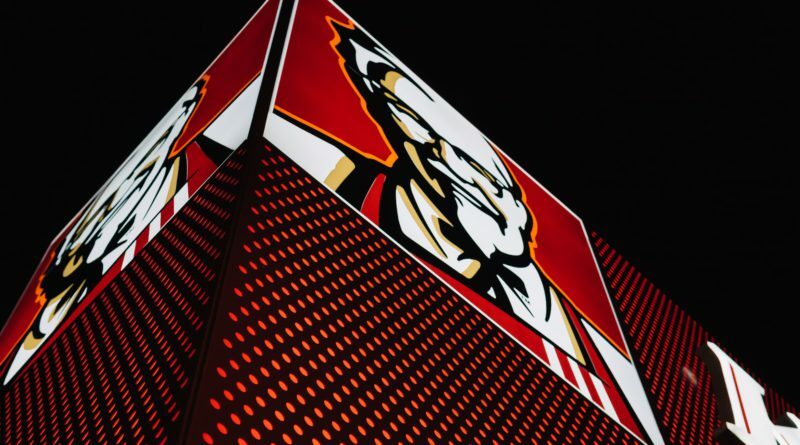 Although its name reflects the main product it sells, however, with the passage of time, KFC has expanded its menu list and offered a number of new food items which are usually copied by the competitors (Metin & Kizgin, 2015). No doubt, KFC is widely known all around the world. Nevertheless, it faces strong competition in the Saudi Market due to the existence of Al-Baik Restaurant and Saudi Fried Chicken. It aggressively puts forth its efforts to attain, retain, and keep the customers and expand its market share in Saudi Market. No doubt, the customers can’t be satisfied unless they get the right order in the shortest possible time with exceptional customer service (Almohaimmeed, 2017). KFC has leveraged the database technology for meeting its sales, customer service, and overall organizational goals. It has implemented a Point-of-Sale system in its restaurants. It helps the restaurant management to track the daily and even hourly sales, inflow and outflow of cash, orders of raw material, and sales of specific food product etc. Since KFC had to deal with lots of cash and credit card transactions, therefore, it was important for the management to have a system which could keep the record of every single dollar entering in the organization as a result of sales. A through coordination between the customer service representatives and kitchen staff was also required for delivering the best-in-class and fastest service to the customers. Moreover, the sales and cash flow records could either be changed or some of the transactions could be missed in the manual system. POS system was found as a single and sustainable solution for all these problems. Not only the management but the customer service staff, kitchen staff, and accounts department took ideal benefits from this system. Since the system is installed in the front desk and the kitchen, therefore, it saves lots of time, energy, and efforts of the kitchen staff. Kitchen staff could get the accurate information about the placed orders, which reduces the time which was otherwise incurred in getting the order from the CSR, confirming it again, and, if the order is wrong, then changing it. When a customer places an order, the order is directly transmitted to the kitchen. It has infused efficiency in the operations by minimizing the time between the customer entering and ordering the food to the order fulfillment (Ramos & Castro, 2016). The accounts department could also automatically record the sales without any mistake. The financial records cannot be cosmetically changed in the presence of the POS system at KFC. Moreover, the sales record can also help the management in tracking the sales record of the peak season and project the sales of specific food items which can be prepared in bulk before the rush hours. Furthermore, it facilitates the mobile orders of the customers. There are two downsides of the system in KFC. 1. The upgradation of the software is quite cost-intensive as the management needs to pay for getting new licenses. 2. A reliable web connection and Internet Service Provider is needed to ensure the uninterrupted workflow of the system. KFC is fully equipped with the latest technologies, which have helped it in moving ahead of others and maintaining its customer service. However, there is still some room for pursuing opportunities. It can employ the automated purchasing tool at its Drive-Thru window. The system could deliver the order without any human involvement. The customer could either place the order by an interactive screen or through the mobile app of KFC or get the food served by the system at the window. The system would reduce the human resource cost and give a competitive edge to KFC over others. However, it demands a huge capital and time for effective implementation and customer training. As a business manager, I can effectively take advantages from the database technologies in terms of HRM, accounts management, sales, customer service, and supplier’s management etc. I could make more informed decisions in the shortest possible time with the help of these technologies. Metin, Ismail, and Yildiray Kizgin. “Multinational Fast Food Chains’“Global Think, Local Act Strategy” and Consumer Preferences in Turkey.” International Journal of Marketing Studies 7, no. 1 (2015): 106. Almohaimmeed, B.M. “Restaurant Quality and Customer Satisfaction.” International Review of Management and Marketing 7, no. 3 (2017): 42-49. Ramos, Y., & Castro, A. O. (2016). Point-Of-Sales Systems in Food and Beverage Industry: Efficient Technology and Its User Acceptance. Journal of Information Sciences and Computing Technologies, 6(1), 582-591.